One way to ensure the success of your bath design is to adhere to the latest rage in remodeling. Before you form the layout of your new bathroom in your head, check the most popular ideas to draw some inspiration. At Rainbow Bath and Shower, we’re thrilled to share with you three of the trendiest concepts in bath remodeling in Petoskey, MI, today. A bathroom is all about relaxation; it’s called your personal oasis, after all. To help create a relaxed ambiance for your private retreat, keep things simple and tone down its design. Even if you have plenty of floor and wall space to work with, less is always more. Any bath remodel in Muskegon, MI, centering on simplistic furnishings, rather crude moldings, and clutter-free zones, will help produce a calming effect. 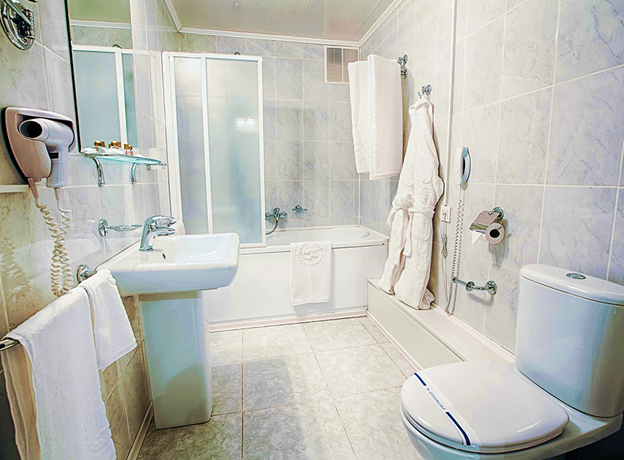 Especially in a soothing palette, your bathroom can offer a wonderful respite. Sustainability is becoming a priority among homeowners. The renewed interest on eco-friendliness can improve your home’s value and energy efficiency on your next bath remodel in Petoskey, MI. From using reclaimed materials to illuminating spaces with LED lights, there are countless solutions to go green. Even if you automate your bathroom, the fusion of nature and technology is a clever way to make your space more functional and fascinating. Discover other hot remodeling ideas from Rainbow Bath and Shower. Call us now at (844) 203-9777, and let’s discuss the different ways to make your bath design stylish and trendy.